You guys probably noticed the new cover art– this was done by Zeker, from deviantart. You can check him out here. Please, do pay a visit to him. Also, the new cover art only looks weird because wordpress decided to zoom the friggin image by 2 times. Damn you, wordpress. I am disappoint. The chapter title might look weird to you, so I’ll explain it here. It means that a nail (or something with great talent) would stick out eventually, even if it hides itself. P.S. I have a feeling you guys are going to find this hilarious. Update: I erased some of the “Zhuge” that appeared in the chapter. Some people didn’t really like it. They are the 5 strongest, most influential clans under the heavens. The five clans started off with the clan known to be the strongest clan under the heavens, the Nangong Clan. It was followed by the kings of the Sichuan region, the Sichuan Dang Clan. Then, the rulers of the Hebei, the Hebei Peng Clan. That was followed by the clan at the Liaoning, which was at the corner of the martial world. They were known as the Murong Clan. There was the clan that was regarded as the weakest of the five; Famous for their strategic minds instead of their martial skills, was the Zhuge clan, located in Honam. He was the current head of the Zhuge clan, and was known as the “Scholarly sword”, Zhuge Sang Lin. Zhuge Sang Lin was leading the meeting with all the active Zhuge clan members in the room. The table laid in front of him. About 10 people were sitting on each side of the table. On the table, there was a giant golden box, which was about big enough to fit a grown man inside. Zhuge Sang Lin pushed the box into the center and opened his mouth. All the members nodded in agreement. It seemed they expected this to some extent. Zhuge Sang Lin looked at two young men seated across from each other on the far side of the table, and spoke up. After Zhuge Gi and Zhuge Mu Hui answered, Zhuge Sang Lin looked at everyone room, and spoke. Originially, he wasn’t from the Zhuge family. But a long time a go, he married into the family and became one of the Zhuge family. In the martial world, he was known as the “Dual Wielding Flying Sword” (雙手飛劍). Looking at him with reassured eyes, Zhuge Sang Lin nodded. He was known as the strongest in the Zhuge family, and was the uncle of the current head of the Zhuge clan. Hearing his words, Zhuge Sang Lin made a troubled face. Zhuge Sang Lin made a complicated face. It was the same for all the other Five Clans. They clung to people of the same blood more so than others. Because of that, the rankings within the clan was rather murky at the moment. There were even times when the elders were able to overrule the head’s decision for the family. For example, Zhuge Yu Sung, who was known as an extremely strong expert, even stronger than Zhuge Sang Lin, recieved a lot of support from the stronger experts in the family. That was what confused Zhuge Sang Lin. Unlike other clans, the Zhuge clan forbid anyone weak from becoming the clan head. That meant if the firstborn didn’t have enough power, the 2nd child was always welcome to become the head. Zhuge Yu Sung’s move signaled an immense movement within the clan. That was because the man never took sides with anyone till now. Until today, the man stayed neutral. Zhuge Sang Lin couldn’t hide his surprised face at Zhuge Yu Sung’s words. Zhuge Yu Sung was known to be very sharp-witted in the clan. Then doesn’t saying those kind of words clearly mean that he was supporting the second child to become the clan head? Zhuge Sang Lin scanned through his memories, and found nothing. The second was a quiet child that simply liked to read. Except for the fact that the child was able to keep a cool head, there wasn’t any other redeeming qualities. Because of that, the firstborn, who was active, headstrong, and was skilled in martial arts, seemed more likely to become the head of the family. But thanks to what happened here, that didn’t seem too likely anymore. Zhuge Yu Sung’s statement had this much on an impact upon the family. Because of the sudden statement from the elder, there was now a higher chance of a family feud happening in the family about the next head. When he was thinking about asking the man about what exactly he was thinking, he noticed that everyone else in the room were also confused. They were glancing at Zhuge Yu Sung constantly. As if he realized that he was being watched by others, Zhuge Yu Sung asked the head this with a scolding tone. The head, brought back to his senses, panicked a little and spoke up. The conference continued, but no one was really listening anymore. Their mind was thinking about something else at this point. Zhuge Sang Lin’s face wrinkled in displeasure. He was able to feel Zhuge Yu Sung’s resolution in his voice. He didn’t want to cause a pointless feud. How much blood has been spilt over brothers fighting to become the head till now? This kind of an event happened far too many times in the history of the Zhuge clan. Did Zhuge Sang Lin’s thoughts appear unto his face? The elder spoke these words to him in a calm voice. His words were starting to get thorny. Zhuge Sang Lin furiously glared at his uncle. 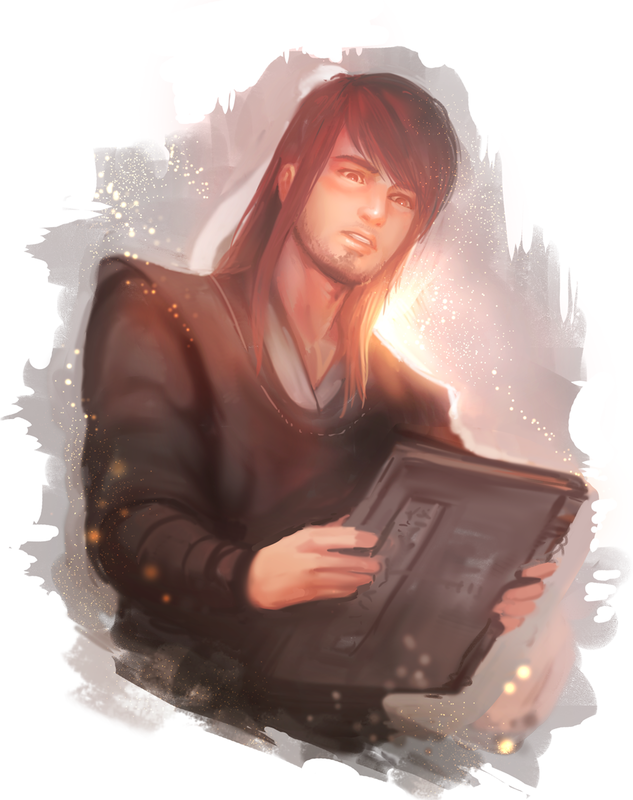 The most respected adult in the clan, the man who was nearing the harmonious stage. Zhuge Sang Lin couldn’t understand why a man like this caused such an event. Was there something more to it? Zhuge Sang Lin wrinkled his head and fell into deep thought. It seemed that Zhuge Yu Sung knew something else about the child that he didn’t know. Was it something big enough to settle the position of the head? Zhuge Sang Lin couldn’t say anything. Even though he didn’t reach the Harmonious stage, Zhuge Yu Sung was extremely good at making decisions, at least when it came to anything that he knew about. If he saw something in that boy, Mu Hui probably had an unimaginable talent within him. Even though he didn’t like the situation, this was probably the best way to handle the situation for now. As if he knew what Zhuge Sang Lin was thinking, Zhuge Yu Sung’s voice became a lot more gentle. Zhuge Sang Lin closed his mouth. He was a little pressured by the elder’s confident words. He felt that he did indeed need to watch Mu Hui a bit more. Zhuge Mu Hui felt hectic today. Starting from Zhuge Gi, his elder brother, all the elders of the clan came to visit him. The source of all this came late at night. But since he already expected this visit to happen, he couldn’t give the biggest figure in the clan poor treatment. Mu Hui made a bitter smile while looking at the elder. He came without warning, and he didn’t even say why. But the elder wasn’t the only won who had to explain some things. He had to, too. Mu Hui made a troubled face, and scratched the back of his head. He really wasn’t interested in becoming the clan head. That was because he thought his personality didn’t match that sort of a thing at all. And couldn’t you see the talent overflowing from his older brother already? He just wanted to pass on the troublesome job to his older brother, and read some books in the library in a relaxed fashion. Zhuge Yu Sung opened his mouth again when Mu Hui made a difficult expression. Zhuge Mu Hui’s relaxed face trembled a bit. Noticing the change, Zhuge Yu Sung drank a bit more of his tea, and spoke. Zhuge Mu Hui was a little confused. What did this have anything to do with the matter at hand? He couldn’t figure out the motive of the elder. The elder shook his head. While all the other clans took their traditional martial arts styles and expanded upon it for centuries, the Zhuge clan basically compiled all the good points of those martial arts into one. Because of that, while they call their martial arts the “most perfect” style, it is actually just a random compilation of techniques. Zhuge Mu Hui carefully opened his mouth. Looking at the elder, who coolly admitted that fact, Zhuge Mu Hui smiled. Then, Zhuge Yu Sung erased his smile instantly, and spoke up. Zhuge Mu Hui put on a face of innocence, as if he didn’t know what the other party was talking about. But he couldn’t prevent his eyes from trembling. Zhuge Mu Hui thought that it wasn’t necessarily impossible, but he didn’t dare say it out loud. That was because he agreed with the elder somewhat. The Zhuge clan’s martial art was flawed. There was something unusual about their martial art, something so small that only an expert on the harmonious stage would be able to detect it. Zhuge Mu Hui had a really troubled look. Since the elder knew this much already, he couldn’t hide it anyways. Zhuge Mu Hui learnt that he had been tricked, but he couldn’t do anything. The elder was sly, yet wise. Under his gaze, Mu Hui would’ve been discovered sooner or later. While he had a regretful expression on his face, Zhuge Yu Sung grabbed onto Zhuge Mu Hui’s hands. Mu Hui could somehow feel the immense amount of passion from those hands, and therefore made an unpleasant face. But Zhuge Mu Hui thought if one did put his whole life into it, it might be possible. That was why he was thinking about dedicating his life to martial arts after giving up on the head position. And then after somehow reaching the harmonious stage, he would fix the mistakes that appear in their martial arts. As if Zhuge Yu Sung read his thoughts, the elder shook his head violently. Zhuge Mu Hui put on a complicated face. Use something other than martial arts to show power in the martial world? Did that something even exist? Zhuge Yu Sung pulled out something from his pocket. Zhuge Mu Hui looked at the old book in Zhuge Yu Sung’s hands. Looking at the title of the book, Zhuge Mu Hui’s eyelashes were faintly trembling. It was something known to have disappeared a long time ago. Since Zhuge Mu Hui didn’t know it would end up in his hands like this, his face started to twist into a complex expression. Loving the chapter. Thanks for the translation. Thanks for translating this. Keep up the good work. err….just wondering. Cho Ryu Hyang and Zhuge Mu Hui are different persons?? Zhuge Mu Hui and Cho Ryu Hyang are two different people. Zhuge Mu Hui got the second volume of the book Cho Ryu Hyang got, aka the “Book for idiots”. the mc got the book with numbers the hard one and this guy the one with words right? the easy one? Their hair seems so soft. Very jealous.